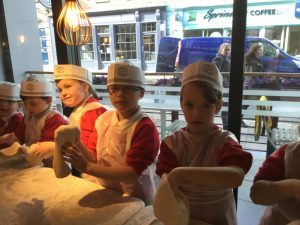 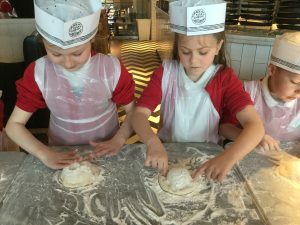 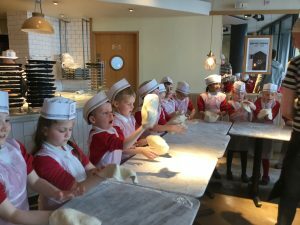 Led by Pizza Express Pizzaiolo Andy, the children were shown how to knead and flip their bases, before placing them in a pizza pan and applying the toppings. 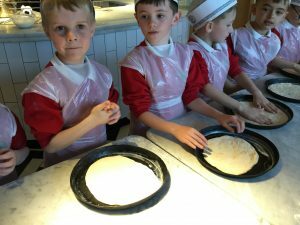 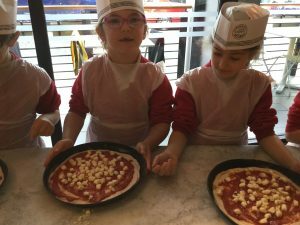 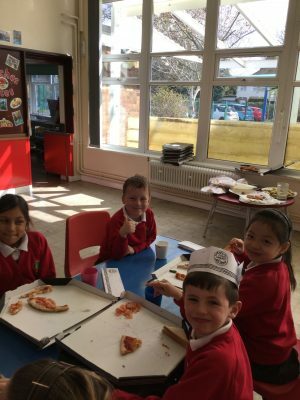 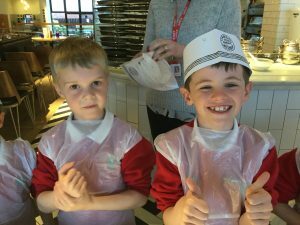 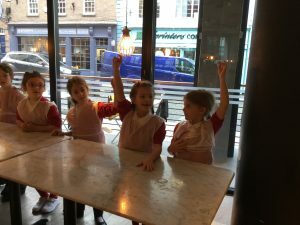 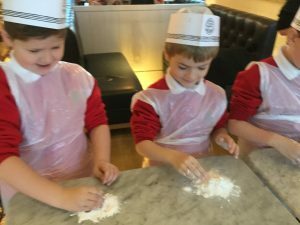 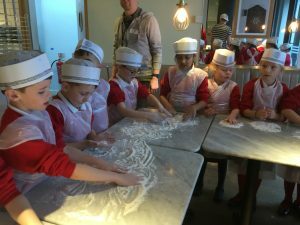 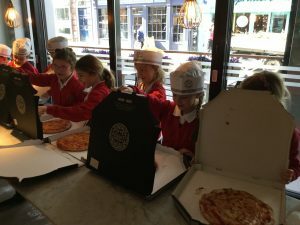 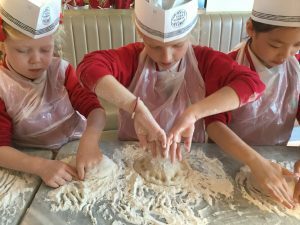 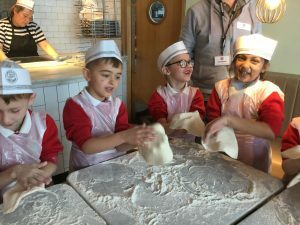 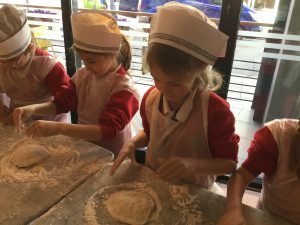 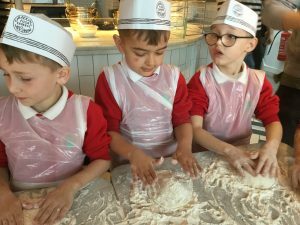 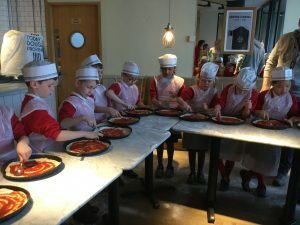 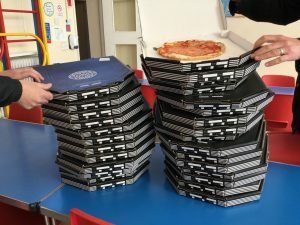 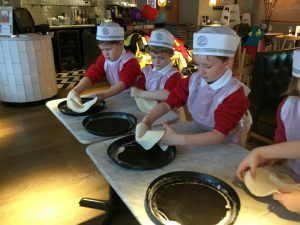 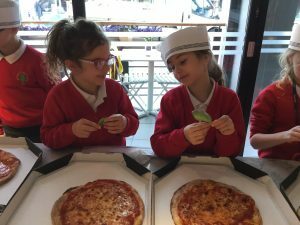 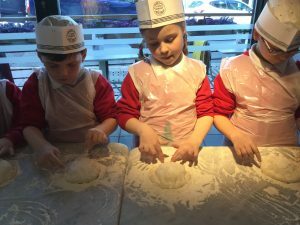 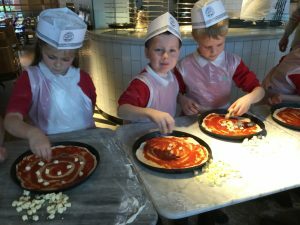 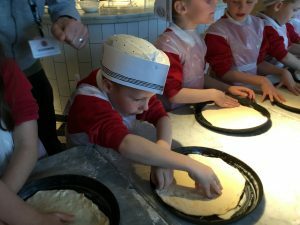 The children learnt that the popular Marghertia pizza was named after an Italian Queen who loved its’ flavours and colours – matching those of the Italian flag…tomato for the red, mozzarella for the white and bazil for the green. 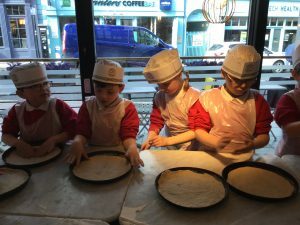 Once made, it was just a short wait for them to be cooked in the oven before the children got to see their creations. 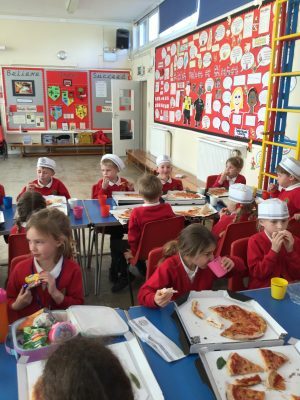 The pizzas were packaged up and brought back to school where we all enjoyed a perfect pizza picnic in the hall! 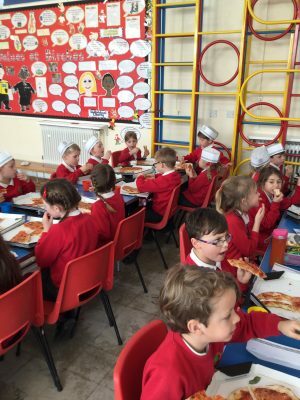 Deliziozo!! 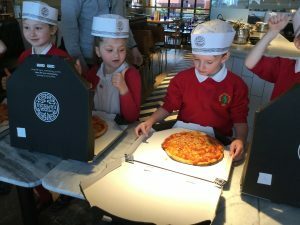 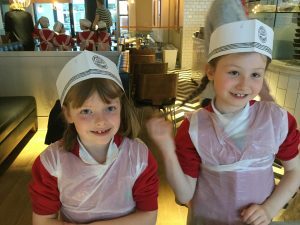 A HUGE THANK YOU to Andy and the team at Pizza Express Shrewsbury!